NEW YORK – More seniors are sharing homes than ever before. It’s estimated that 1.5 million people are now living in nursing homes and in many cases, sharing rooms with other adults with severe mental illnesses, including dementia. Published in the Journal of Applied Gerontology, a new study found that residents suffering from dementia or other mental illnesses were more likely to be abusive; not just to staff but toward other residents as well. 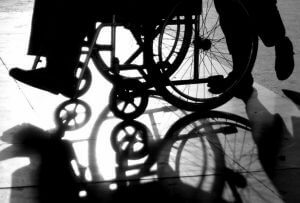 “Resident aggression and abuse in assisted living facilities is prevalent and warrants greater attention from policy makers, researchers and long-term care providers,” the researchers said. A New York nursing home abuse attorney at Cellino & Barnes says almost every bed in America is now full – and due to the demand for care, nursing home are no longer exclusive to older adults. The study, published last month, compiled data from federal surveys in which nursing home staff members were asked about aggressive behaviors, which can include physical, verbal and sexual abuse. Researchers concluded that roughly 8 percent of residents had engaged in physical altercations or abuse toward other residents or staff in just the last month. Verbal abuse was slightly more prevalent at 9 percent. Of the residents identified to be ‘aggressive,’ those with dementia were five times more likely to abuse others and those with a severe mental illness were three times more likely to be involved in a verbal or physical altercation. Researchers also noted that their estimates could even be low because some resident aggression could have occurred without the staff members’ knowledge. Parent Care is an app created by Cellino & Barnes to help families make the best decision when choosing a nursing home for their loved ones. The app allows users to locate all of the nursing homes in their area and provides ratings for each facility, as determined by federal inspectors. The Parent Care app can be downloaded for free on the Google Play Store or on the Apple App Store. NEW YORK – Health is a chief concern for many people over the age of 65 but those who describe their health as ‘excellent’ or ‘great’ often have one thing in common: they live alone. According to a report recently published in the Journal of Applied Gerontology, elderly individuals living with others – whether they’re related or not – were unlikely to consider themselves in ‘good’ health. Researchers concluded the two often go hand-in-hand. 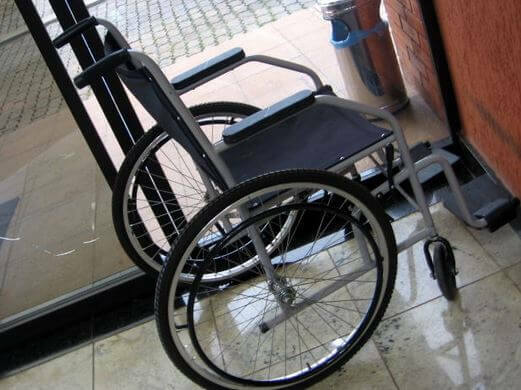 A New York nursing home abuse lawyer with Cellino & Barnes says when seniors suffer health issues or their mobility begins to decline, they can often end up living with family members or in nursing homes where there’s an increased risk of abuse. Cellino & Barnes created the ParentCare app, where users can easily compile a list of nursing homes in their area. The app also provides comprehensive ratings and grades for each long-term facility so users can compare and contrast nursing homes to find the right one for their loved ones. 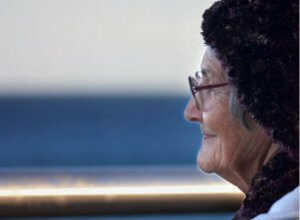 Although seniors value their independence, living alone can be risky. In fact, while seniors reported healthier lifestyles when they’re living alone, researchers said solitary situations do have drawbacks. Those who shared a home with a spouse or partner were not likely to report any concerns with their psychological or mental health. The finding mirrored previous studies on the same subject. The study’s lead author said the research indicates that families may be faced with the choice to help seniors with their physical health or psychological wellbeing depending on their loved one’s living situation. The New York nursing home abuse lawyers at Cellino & Barnes have represented victims of nursing home neglect for over 50 years. They’ve helped many families get justice; and with the ParentCare app, Cellino & Barnes hopes seniors will find the long-term care facility that best fits their needs. The app can be downloaded on the iTunes Store or at the Google Play Store. 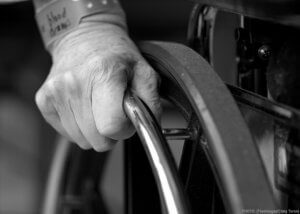 If you or a loved one has been abused or neglected in a nursing home, contact our New York nursing home abuse attorneys today for a free case evaluation. NEW YORK – It doesn’t matter if you have an iPhone, an Android smartphone – or now, just a computer. You have the ability to find detailed information on the best nursing homes in your area. Found on the Apple App Store or on the Google Play Store, the Parent Care app is an excellent tool for families thinking about long-term care. All of the information available on the app is now online at Parent-Care-App.com. 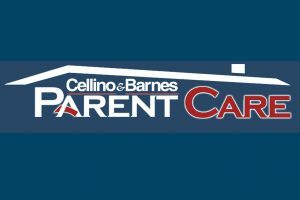 Cellino & Barnes introduced the Parent Care app and its website in an effort to help families compare and contrast nursing homes so they can feel confident their loved one will receive the care that he or she needs. The site also has detailed information on each nursing home including the number of hours staff spends on patients each day and the number and cost of penalties a nursing home has incurred. The website and app also have guidelines and helpful suggestions for families who are looking at nursing homes or already have a loved one in a long-term care facility. Cellino & Barnes offered tips on how to choose a nursing home and how families can afford long-term care. For those who suspect abuse or neglect, the Parent Care app and website explain how a family can report a nursing home and what to do if a loved one is injured. The nursing home neglect lawyers at Cellino & Barnes urge anyone to report neglect or abuse – even if it’s just a suspicion. If your family member has ever been injured or suffered abuse in a nursing home, contact Cellino & Barnes today for a free consultation. NEW YORK – More Americans require long-term care than ever before; and as the U.S. population ages, the demand for this care is expected to rise. By 2040, more than 2.5 million people will need nursing home services. To avoid this unfortunate reality, the Nursing Home Abuse Attorneys at Cellino & Barnes created the Parent Care App. The app collects and analyzes current data and health inspection reports from nursing homes across the country. If a long-term care facility is under-staffed or has had health inspection violations, Parent Care’s ‘Star Rating’ system will give you a summary. The Parent Care App is available on the iTunes App Store and on the Google Play store.